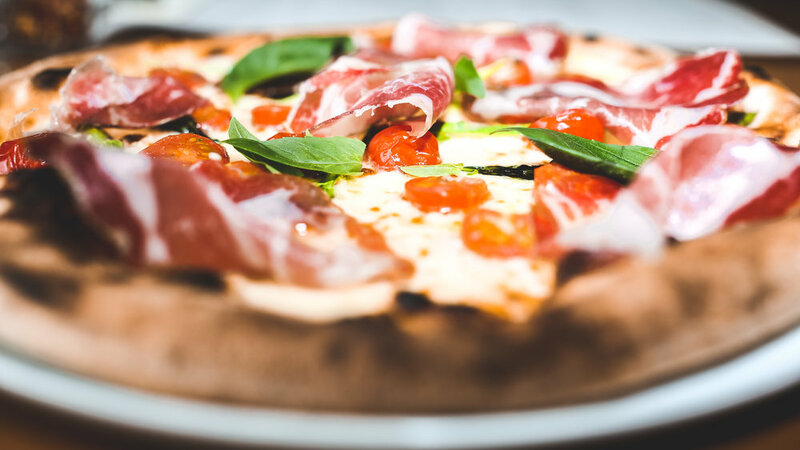 All our dough is freshly prepared on a daily basis.Our pizzas are cooked in a 300 degrees Celsius oven which takes only about 90 seconds to cook. All our starters and dessert dishes are freshly prepared and made to order. drink must be purchased !